Malta’s new 2030 climate plan is “not ambitious and too passive”, an association of renewable energy experts and professionals has lamented, calling for bolder measures to kick-start a new green business model on the island. In its comments on the draft National Energy and Climate Plan, the Malta Energy Efficiency and Renewable Energies Association (Meerea) said the new strategy did not sufficiently build on or evaluate the success of previous plans, limiting itself instead to reporting on them. The association also said the time had come to address the issue of solar rights – protecting access to the sun from overshadowing by tall buildings – which it said was “negatively impacting the future of renewable energy in the built environment”. The 2030 plan, published for public consultation last month, lays out the government’s strategy for the next decade under the EU’s long-term climate goals and Paris Agreement commitments. 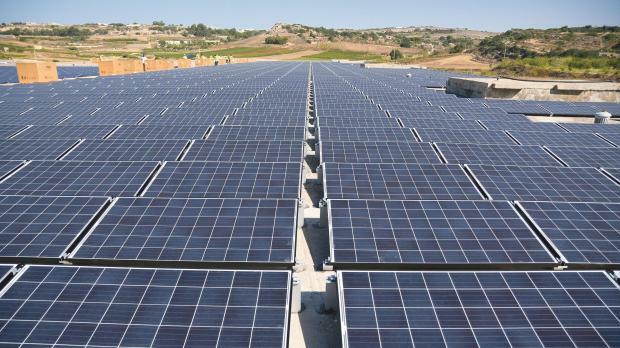 Among other aspects, it lays out key objectives for Malta of a 19 per cent reduction in greenhouse gas emissions and a 13 per cent share of renewable energy in final energy consumption by 2030, primarily through vastly-increased solar generation capacity. However, Meerea – which brings together academics, entrepreneurs and technically qualified professionals in the sector – said the plan lacked ambition in failing to set progressive renewable energy targets, which would have laid the groundwork for renewables to become a new market. It described the draft plan as a first step in the right direction, but said it should be made “longer and bolder” before the final submission date. “This is a one-off opportunity where government can turn an obligation into an opportunity for promoting new business markets in the area of energy efficiency and renewables for the next 10 years,” the association said. The association also said the plan did not highlight the fact that due to a strong construction boom, homeowners were being discouraged from investing in PVs. As 70 per cent of residents would soon be living in apartments, the lack of integrated renewable energy systems in new-builds, it said, was a “missed opportunity” that would heavily impact electricity generation. “Within 15 years from now, Malta will need another power station,” the association said. It also warned that the plan lacked a serious approach towards addressing energy efficiency on the demand side. “The increase in energy demand and the resulting negative impact that this will have on energy consumption and renewable energy share seems to be taken as unavoidable and there are insufficient measures for addressing and curbing future energy consumption,” it said.